Many organisations use Microsoft Project for their Project management teams. Developing practical skills with Microsoft Project training will allow you to easily create new projects, manage multiple tasks and resources, and be able to schedule, track and manage costs and budgets for your projects. If you and your team are becoming overrun by various projects, or need solutions to increase efficiency, Microsoft Project is without a doubt a must-have for your staff and organisation. At its core, Microsoft Project is innovative project management software. Its power is in streamlining time consuming tasks involved with any project. From the conception of an idea to the final creation and action, Microsoft Project allows you to follow a structured outline of your project, step by step. 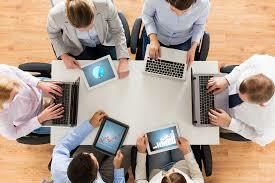 And with its highly effective collaborative interface, all updates from each team member come together harmoniously. Microsoft Project is an extremely flexible, powerful, all-inclusive solution for the daily tasks your project management involves. From the progression of specific functions to team members hours, supplier costs and project budgets, there’s plenty of benefits to using Microsoft Project for you, your team and your organisation. The planning and steps to be taken with any new project are undoubtedly most important. Sometimes it can be difficult to ensure everyone is clear on the plan and the steps required for each schedule or project your team has on the go. With Microsoft Project you can simplify project planning for you and your team, and you can adjust accordingly as your project evolves. Ensure collaborators are on the same page for your project plan, goals and outcomes. Plus, when team members can view which tasks need to be executed, when and by whom, motivation and communication in your team, and productivity, increase dramatically. When working on both large and small-scale projects, critical changes, milestones and updates can occur during any stage. Microsoft Project 2016 keeps all your team members up to date by setting any newly added constraints, deadlines, over-allocated resources, change of schedule and other data and tasks in a single sheet view, or Gantt chart. Bonus Tip: A Gantt chart is an excellent tool that equips you with the ability to oversee each element of the project and actively track its progress, such as critical changes and milestones. This is must-have information for project managers and their teams. Plus, by being able to update critical changes and add milestones when required, communication is vastly improved for everyone involved, which keeps your project on track and reduces confusion. Undoubtedly, all organisations strive for projects that are completedon time and within budget. Microsoft Project 2016 allows your team to assign resource project costs collaboratively to create accurate cash flow projection. By creating sheet files and Gantt charts, newly imported data and expenses can be easily updated and accessed by those allocated to the data. Microsoft Project allows for a high-level estimate of resources required for a particular project. Essentially, this is an excellent tool to help you stay on budget and identify cost or resource blowouts. Another powerful feature and benefit of Microsoft Project 2016 is the team planner tool. This feature allows you to have access to an overview of the project in progress, while monitoring how each team member is progressing with his or her tasks. With the added team planner tool, you’re able to keep up on the work status of your team members and oversee their percentage of completion. These functions can be carried out in one core collaborative worksheet within the team planner tab so everyone can access, view and adjust current or reassigned tasks. Are you managing more than one project in your organisation? Most of us are, and subject to your current project management processes, having multiple projects on the go can be stressful. For small organisations, or others beginning to operate on a larger scale, it’s essential to ensure that each project is scheduled, managed and prioritised accordingly. Microsoft Project’s priority review tab can help you track, monitor and maintain the overall progress of multiple projects at any one time. Using the priority review tab, you’re able to see the top-to-bottom prioritisation scores of each project, including overall budget and constraints, and other critical areas of your projects. We hope you’ve found these Microsoft Project tips beneficial. Of course, this is merely a snapshot of how Microsoft Project training can benefit you, your team and your organisation. It’s also why we’re seeing more and more organisations coming to Corporate Training Options for Microsoft Project training. Project Managers realise it is a must-have for their organisation’s productivity, if they are to manage their teams, expenses and their projects, so they deliver a positive return on investment in time and money. If you’re looking for real-world practical skills and training to take your project management and team productivity to the next level, the Corporate Training Options Microsoft Project Introduction Course will benefit you. 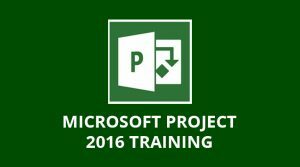 To discover more about the Microsoft Project Introduction course at Corporate Training Options, please view the course outline here. Alternatively, please contact us by email at training@cto.com.au for the latest Microsoft Project training packages. Like these Strategies on Microsoft Projects 2016? Please feel to share them with people you know will benefit from them. Our facilitators are available to present your training within two weeks of your booking date. Why Choose Corporate Training Options ? Corporate Training Options is Australia’s leading professional development training company, incorporated in 1992. In that time, CTO has facilitated thousands of business training courses Australia wide. CTO training provides a cost-effective way of ensuring you and your staff are presenting your best image to the world. Your Professional Development and IT Training courses are customised to meet your requirements, and your training is provided on-site, on dates, which suit you. Each CTO trainer has specific areas of expertise. 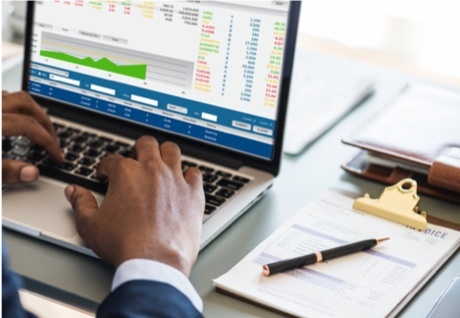 This enables them to provide invaluable assistance to organisations like yours, seeking to maximise your investment in your teams and your technology. So if you’re ready to upgrade your skills, or you wish to tackle some new challenges, contact Corporate Training Options today. We’ll meet your specific needs with a tailored training course to suit your requirements.